Three months into the Rotary year, I have visited 46 of the 57 clubs and one satellite club along with numerous other events. I appreciate the warm welcomes. Frequently, I am asked, “are you enjoying the year”? My response is a resounding YES! It is a distinct honor to serve all the Rotarians in our district. I am truly humbled. 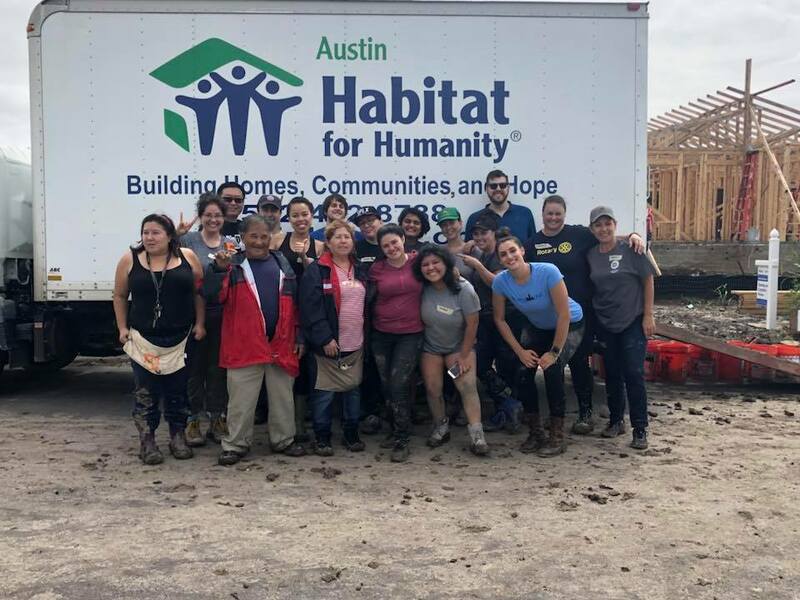 Hurricane Harvey hovered over much of Texas dumping more rain in a few days than some areas see in a year. 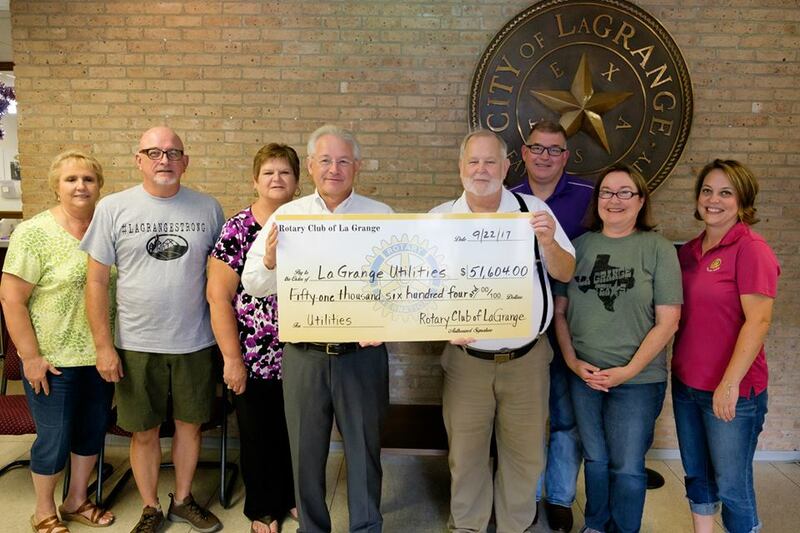 The small community of La Grange could not have predicted the devastation this historic rainfall would have. 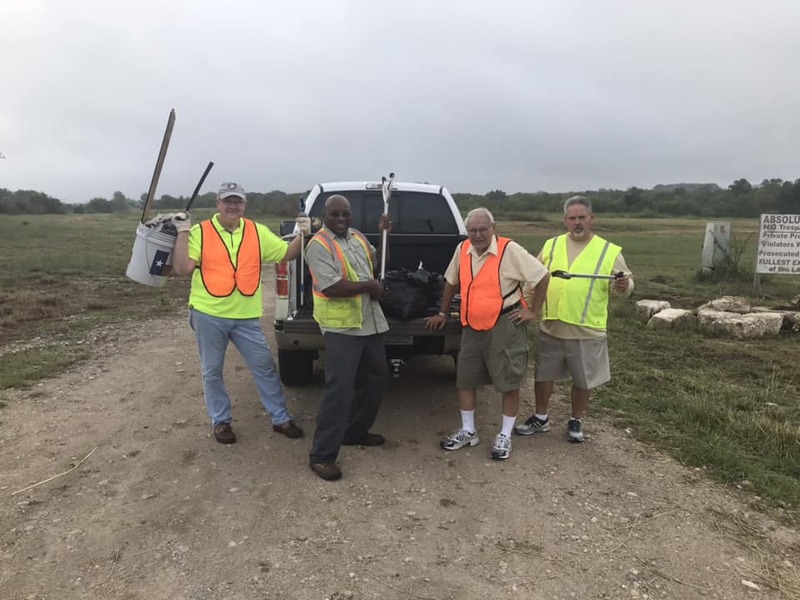 Congratulations are on order for the Rotary Club of Yoakum!! 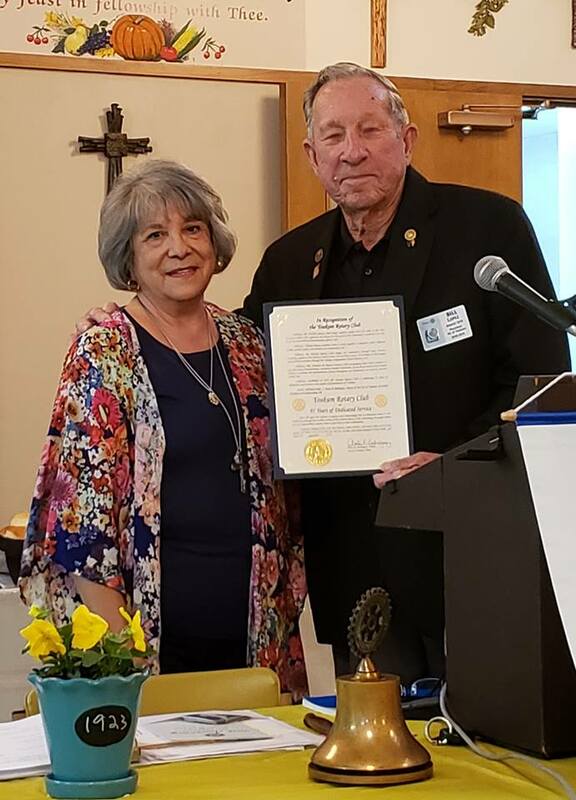 On September 27, Mayor Annie Rodriguez presented a Proclamation from the City of Yoakum to Yoakum Rotary Club president, Bill Lopez, recognizing the club's 95th birthday. 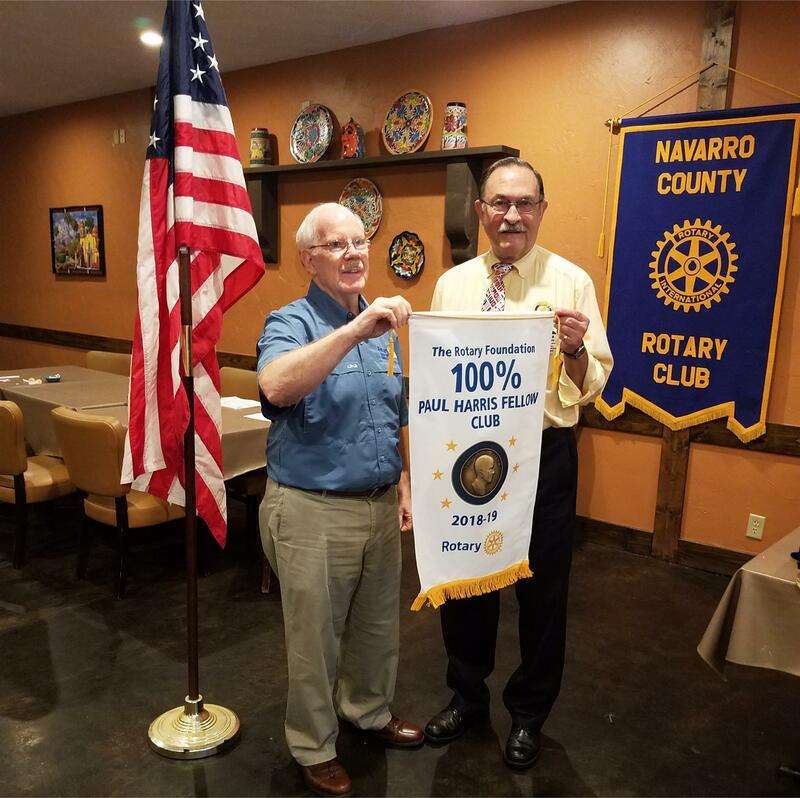 Past District Governor, Bill Bradfield accompanied by his wife Jane, was on hand to share some local, national and international memories of his years in the Rotary organization and Assistant Governor Carroll Sharp gave a brief history of the club. 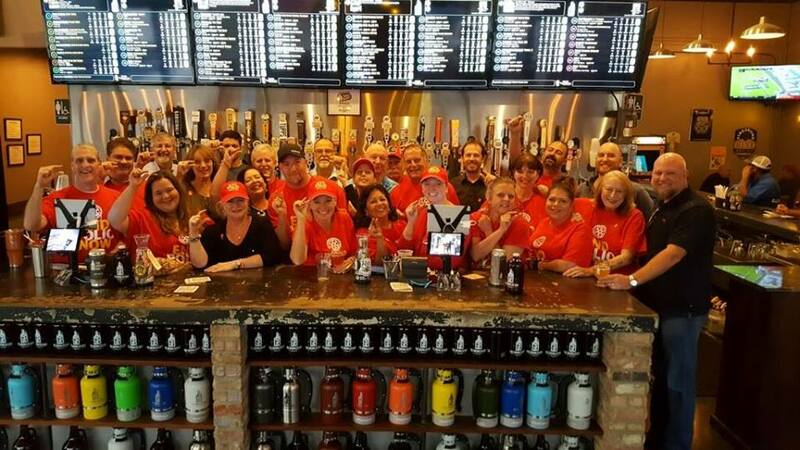 On October 13th, 2018, our own Gerogetown Rotarian Dr. Gonzalo Garza will be awarded the Congressional Veterans Commendation for his exemplary military and community service throughout his lifetime. He will be honored at Texas A&M in Killeen, along with a handful of other recipients of this prestigious award. 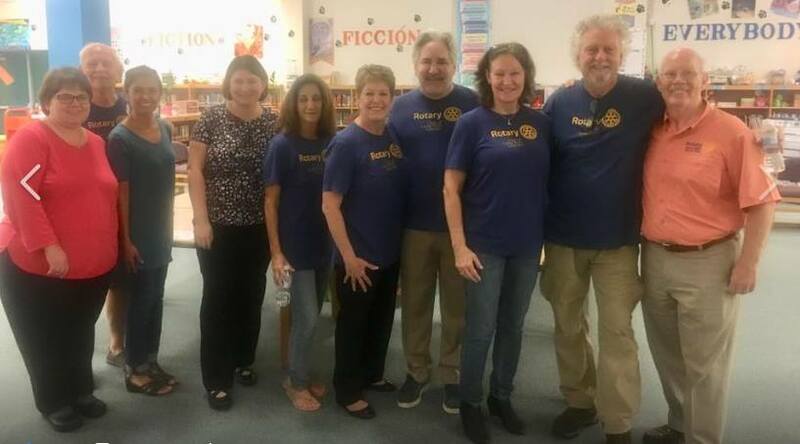 Temple South Rotary Club cited as a contributing force in the recent turnaround of the Academic Standings of Raye-Allen Elementary School. In correspondence from Superintendent Bobby Ott: For the last three years, Raye-Allen Elementary was previously labeled an Improvement Required campus by the Texas Accountability System. The first Knighting Ceremony of the school year took place this month. 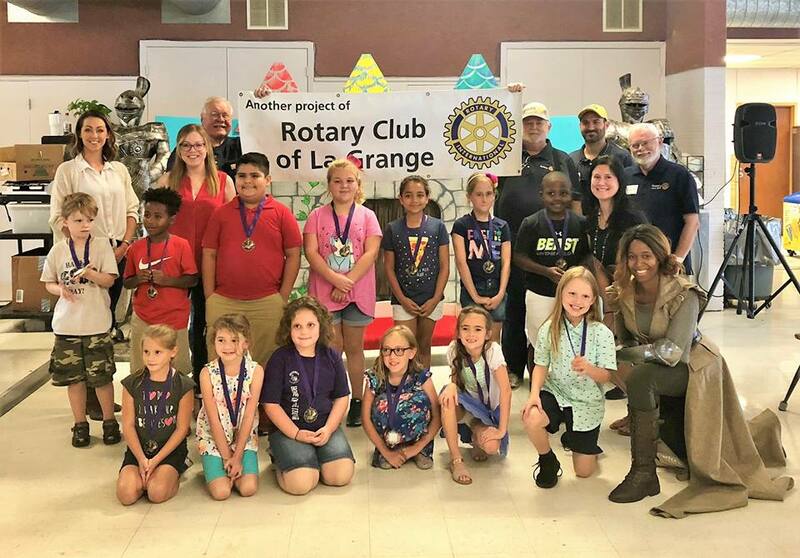 These awesome students were knighted for the virtue of friendliness.The Rotary Club of La Grange proudly funds the EarlyAct FirstKnight program at Hermes Elementary.